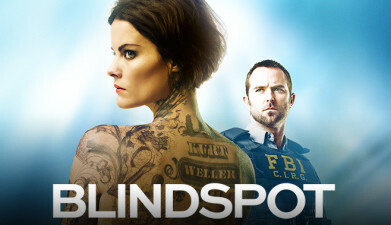 is working on an upcoming CBS series and Season 4 of NBC's BLINDSPOT! Formerly of Bowling/Miscia Casting her recent credits include: Amazon's THE TICK, ABC's QUANTICO, USA's MR. ROBOT, SyFy's HAPPY!, starring Christopher Meloni, CBS' BLUE BLOODS, FOX's GOTHAM! Class may begin with a Q&A and will be followed by individual scene work. You will work ON-CAMERA with Lisa who will generously work with you, giving you feedback and adjustments to your scene. Casting TV and theater since 2013. Lisa has worked on regional theatre, Broadway productions, Off Broadway productions as well as all major Network TV shows. in the past she has worked on Blue Bloods, Gotham, Beauty and the Beast, Quantico, pilots for CBS, FOX, USA, Netlfix and the pilot of Shadowhunters for FREEFORM. She is currently working on primetime network shows and a streaming channel show. After taking Lisa Kitay's class in January, Kelsey was called in for Blue Bloods!